Attention MMA (Mixed Martial Arts) fighters. 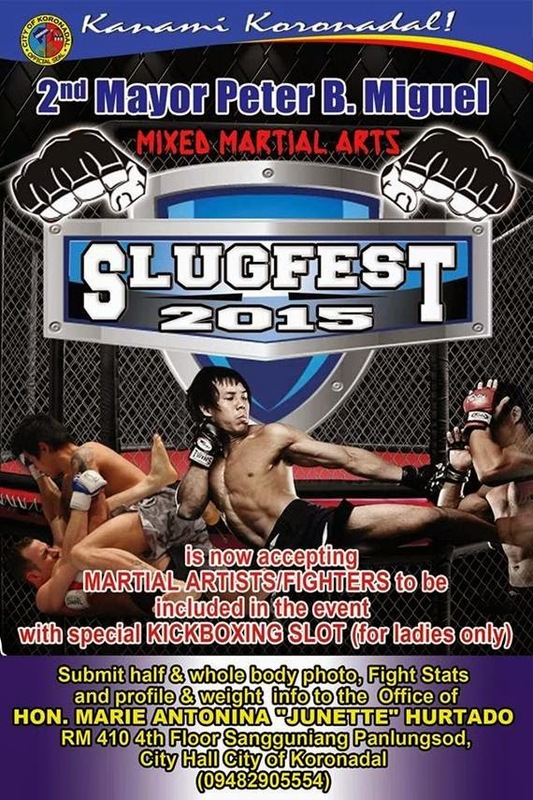 The City Government of Koronadal is now accepting fighters that are interested to compete in Slugfest 2015. Check out the announcement below.